Exchange House is working as part of the European Project entitled; Tandem Now. The aim of this project is to provide a mentorship programme for young people in order to provide them with training, support, information and guidance on their chosen career path. The training is focused on blended mentoring and encompasses both face to face and online sessions. Tandem Now promotes technological developments in mentoring and the use of ICT to improve career opportunities for ethnic minority groups. Other member organisations come from countries including Germany, Austria, Spain, Greece, and Italy. The lead partners on the project are Volkshochshule Tirol and Verein Multikulturell. 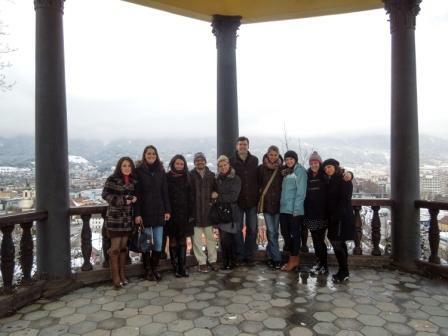 The first partner meeting was held in Innsbruck, Austria and was a great success. Since the initial meeting partners have been working together on a number of different objectives. These include adapting the mentoring process, understanding and discussing the project goals, and designing the curriculum for the mentor training. Communication between partners has been a key aspect of the successful progression of the project and partners have sent a number of emails which provide feedback and information to other partners. Skype conferences have allowed for great discussion and team building between all of the organisations. Exchange House is pleased to be a part of the project and hopes for continued success in the future.